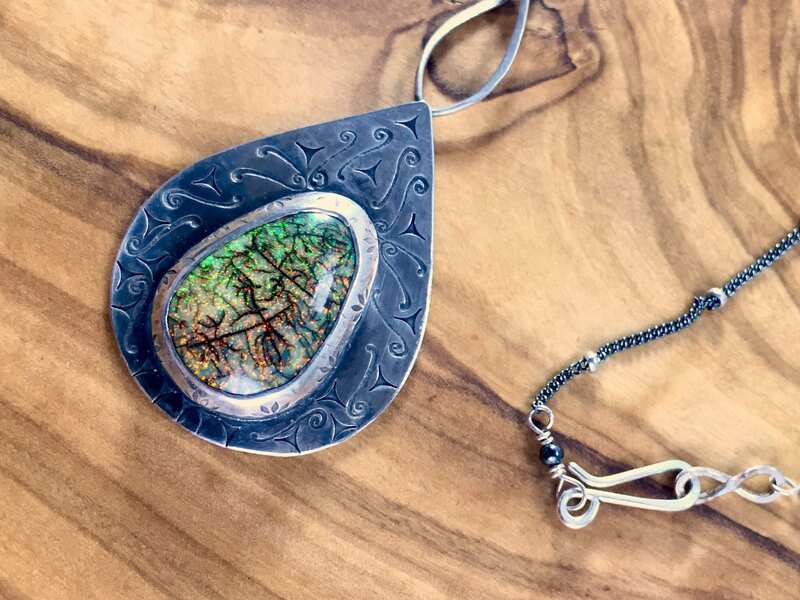 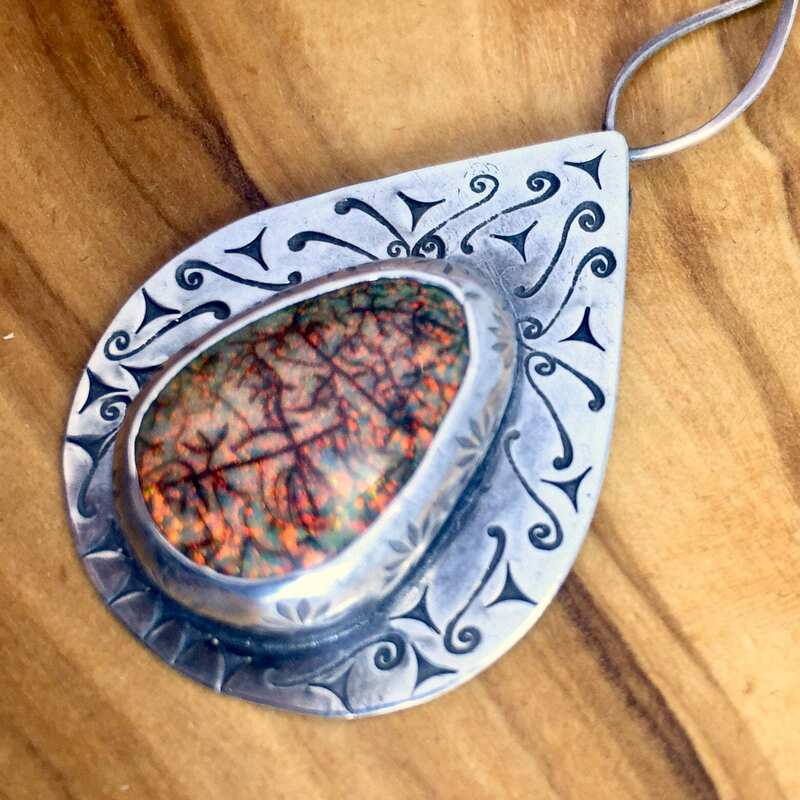 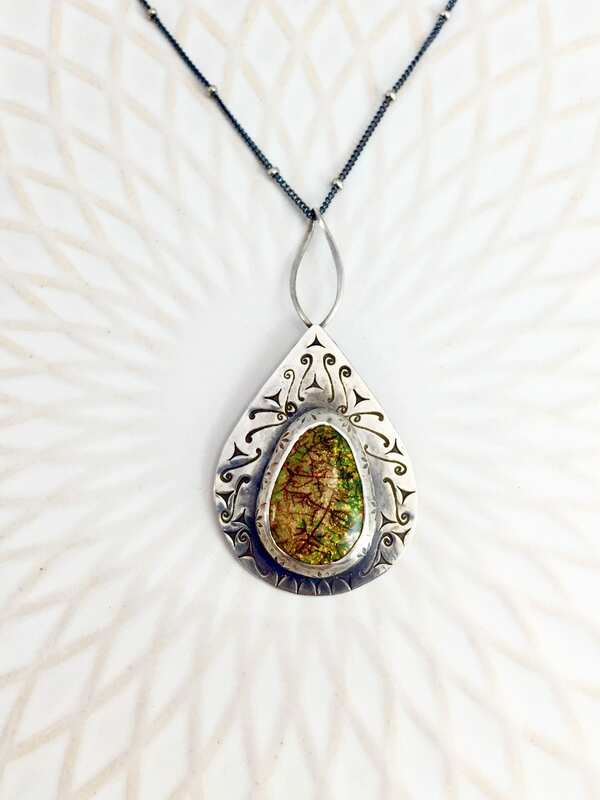 This necklace showcases a large orange and green monarch opal that changes color depending on which way the light hits it (see photos above). 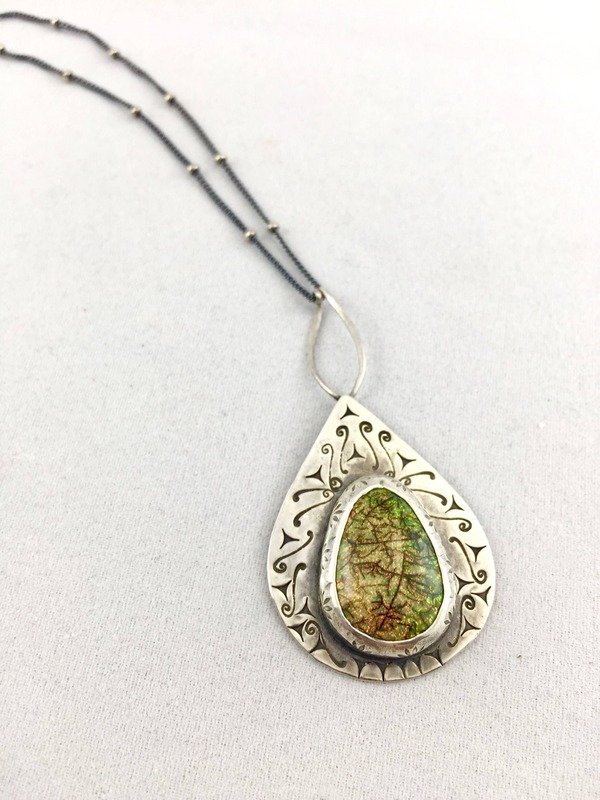 This extraordinary, large cultured opal is set in a sterling silver teardrop and accented with fiery stamped motifs. 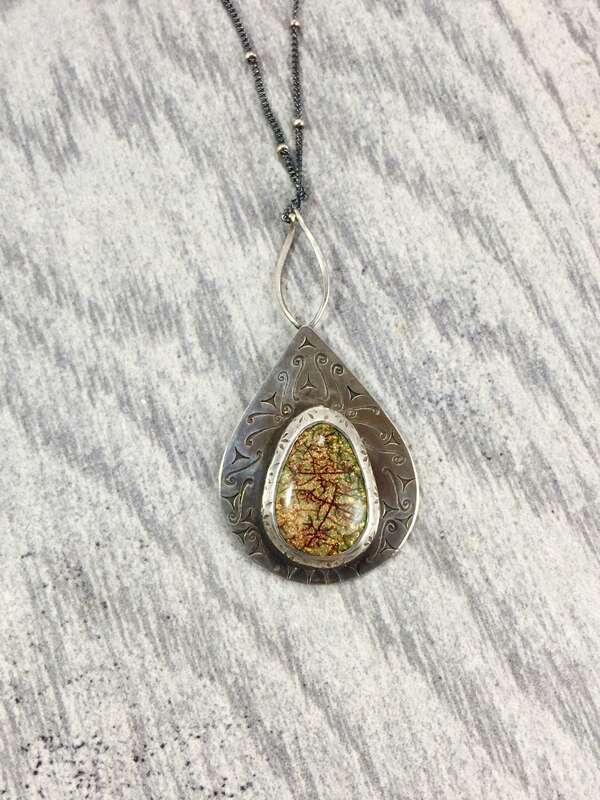 The bezel around the stone has also been stamped. 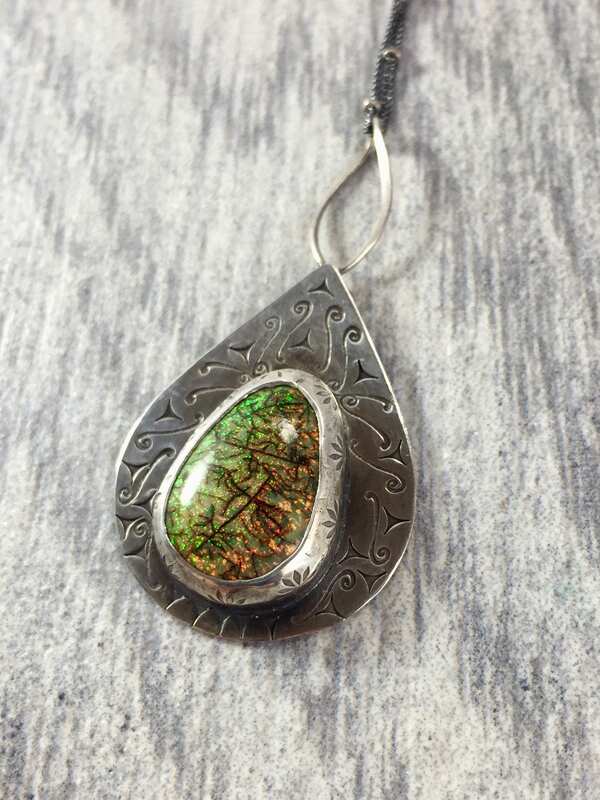 The end result is a bold, feminine statement piece. 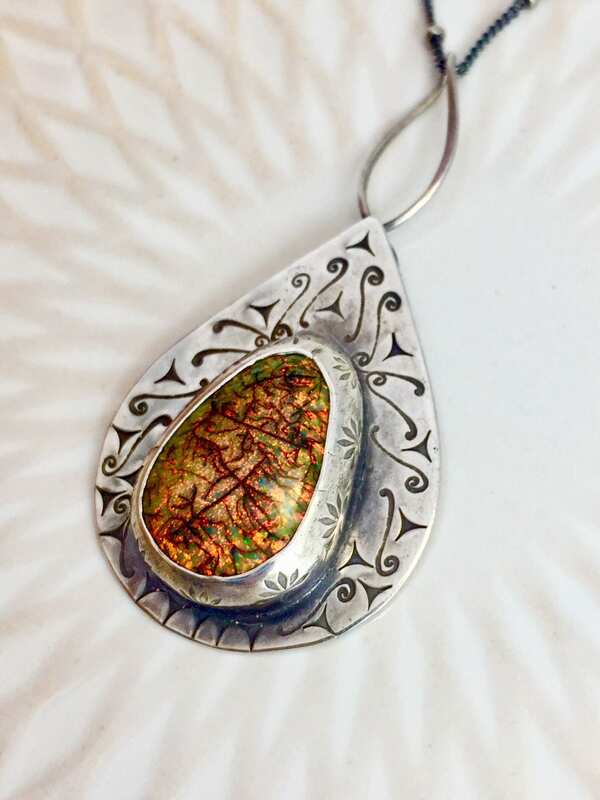 • The monarch opal is approximately 15mm x 20mm. 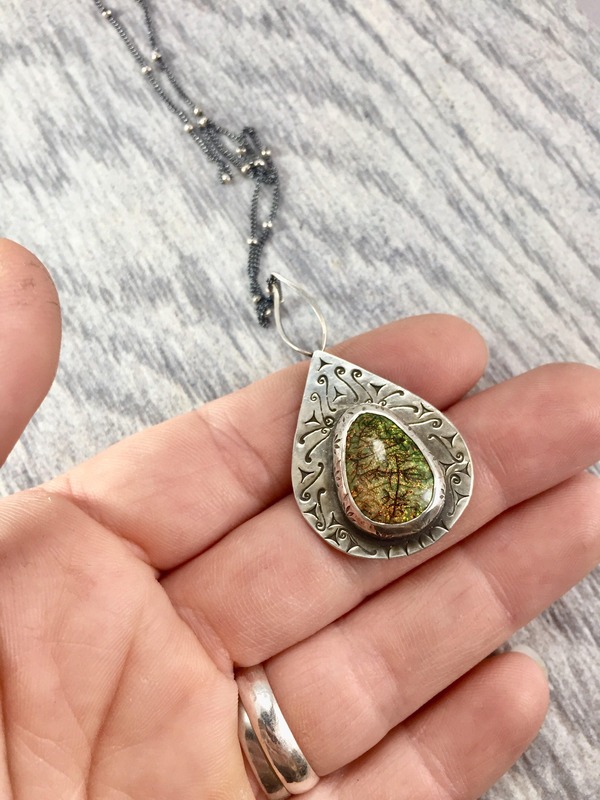 • The pendant is approximately 1 1/4" x 1", not including the twisted link at the top. 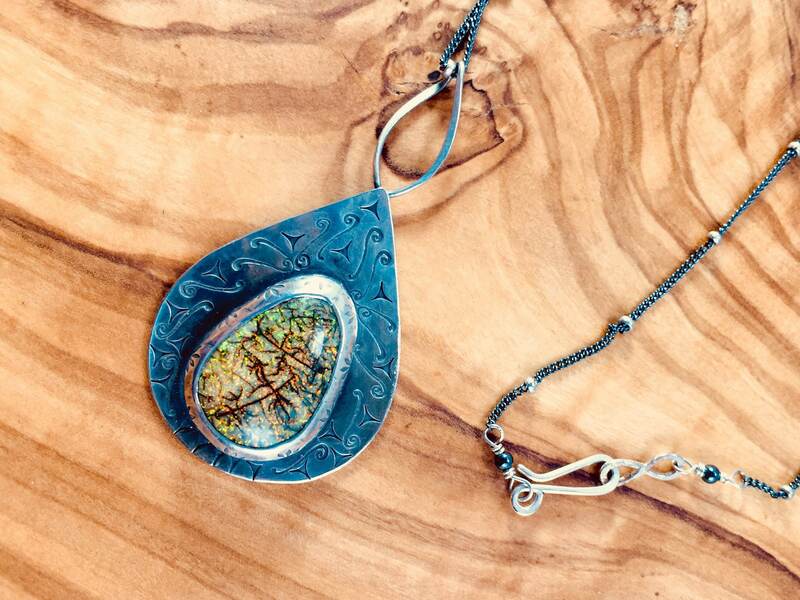 • The pendant comes on a 19" oxidized sterling silver satellite chain.